Lyric is the world’s first 100% invisible, 24/7 wearable hearing device. 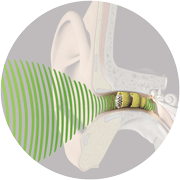 Lyric is comfortably placed in the ear canal by our trained fitters in as little as 10 minutes and can be worn 24 hours a day, seven days a week, for months at a time without battery changes. 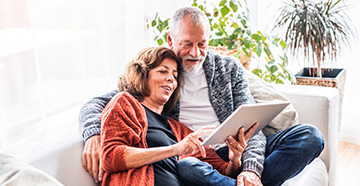 Lyric hearing aids also provide exceptionally natural sound quality because unlike many other hearing aids, Lyric is positioned deep in the ear canal to use your ear’s anatomy to funnel sound to the ear drum. Experience Lyric’s sound quality and hassle-free hearing for yourself. 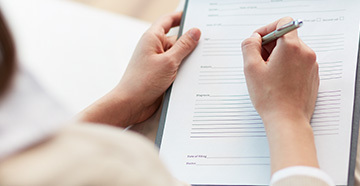 Make a Lyric appointment with us today to determine if Lyric hearing aids may be right for you. 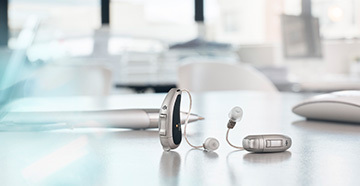 For more information about Lyric hearing aids, please visit www.lyrichearing.com or read Lyric Hearing FAQs. Lyric is not appropriate for all individuals. Individual replacement needs may vary. Duration of battery life varies by patient and is subject to individual ear conditions.